This menu board is truly trendy and sophisticated. The white background color together with sleek multicolors and graphics make this visually very appealing. On a digital menu board it would certainly entice the target audience. 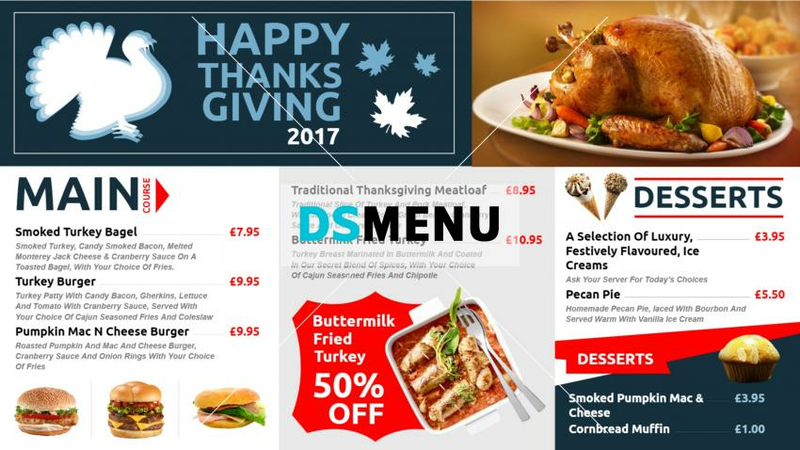 The eclectic menu consisting of a variety of turkey dishes and desserts and also a special offer make this an epicurean’s delight.